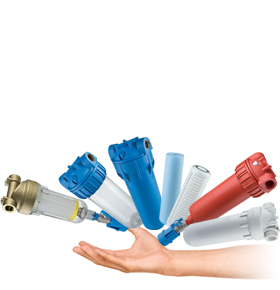 Media filters for civil and industrial use: they make it possible to reduce turbidity, chlorine, odours, iron, arsenic and other substances from water. The SAND quartzite filters are used to reduce water turbidity (clarifying process) silt, clay, sand and colloidal substances. The VEGA arsenic removers are systems designed to eliminate arsenic contained in well water and in aquifers.